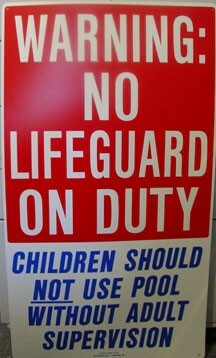 No Lifeguard on Duty sign informs staff and patrons that there is no lifeguard on duty. 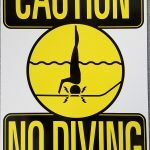 No Lifeguard on Duty sign features a white background and red and black lettering. 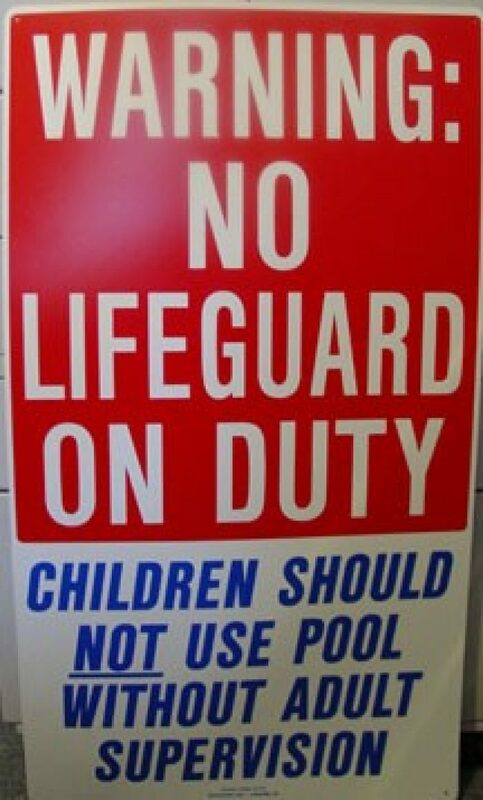 It includes the verbiage children under 14 should not use pool without adult in attendance. 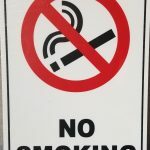 State Law. It informs staff and patrons that there is no lifeguard on duty and is required in many states. REFUND POLICY is as follows. For CPO Services, a refund will be given prior to 14 days of the class less a $35 cancellation fee and a 5 percent credit card charge. No refund will be given in the two week period before the start of the class. For products, refunds will be given on unopened returned merchandise within 30 days of purchase minus a 15 percent restocking. Shipping fees are not refundable.